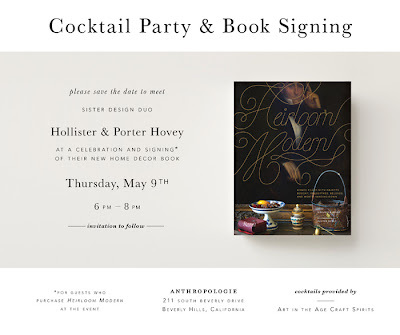 LA Book Signing - May 9! Port and I will be heading west for our LA book signing on May 9! Art in the Age Craft Spirits will be providing the (wonderful) booze. Cannot wait to see our favorite West Coasters! If you can make it, drop me a line at hollister.hovey@gmail.com and I'll be sure you're on the list! I am really enjoying your book! Hoping that you will have a book signing closer to where I live.